Counterfeit: "made in imitation of something else with intent to deceive, trick, people." The most prevalent teaching on the rapture in the Church today is the Pre-Tribulation doctrine. The question is, does the Bible actually teach a Pre-Trib rapture? Rather than debate the origin and date of the Pre-Trib doctrine this site simply subjects the Pre-Trib doctrine to cross examination within the crucible of biblical truth. It is concluded that most of the assertions put forth by Pretribbers to establish their doctrine are not supported by biblical truth. This report is a comprehensive review of the Pretrib doctrine taught by the most prominent Pretrib teachers of today. 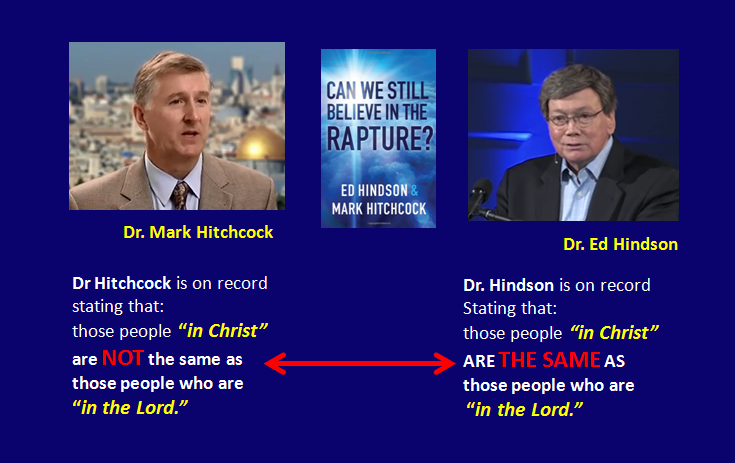 It is concluded that the Pretrib doctrine does not agree with what the Bible says about the rapture and its timing. Why is it important to know that the rapture happens after the tribulation and not before? It's important because the Church will need to be prepared for the persecution and great deception that is about to come. Living a life of unpreparedness: spiritually; physically and socially, millions of brothers and sisters in the Lord will not be prepared to endure what is about to occur. 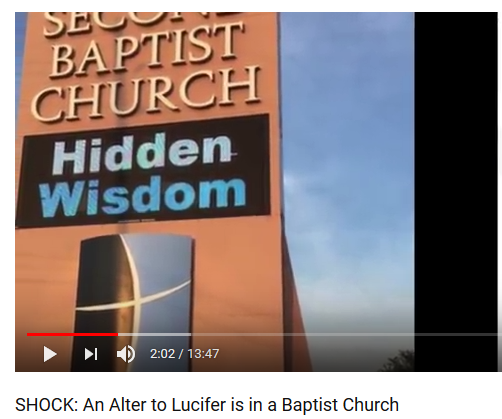 Satan counterfeits himself as God; the Antichrist as the Messiah; his spiritual powers as the Holy Spirit; the gospel message; miracles and works of righteousness. Just as Satan is counterfeiting these aspects of God's Kingdom Satan is counterfeiting a rapture in order to deceive believers and unbelievers alike. Satan is the deceiver of the world. He is decieving the world right now. Soon a great deception will come upon the world to cause many to abandon their faith and turn on those who hold fast to Jesus. and then followed by a Counterfeit Rapture. Paul McGuire is a prolific Christian writer and researcher who is exposing the evil powers behind the public facades enlightening all to just how devious and sophisticated the attack by Satan and his servants truly is. 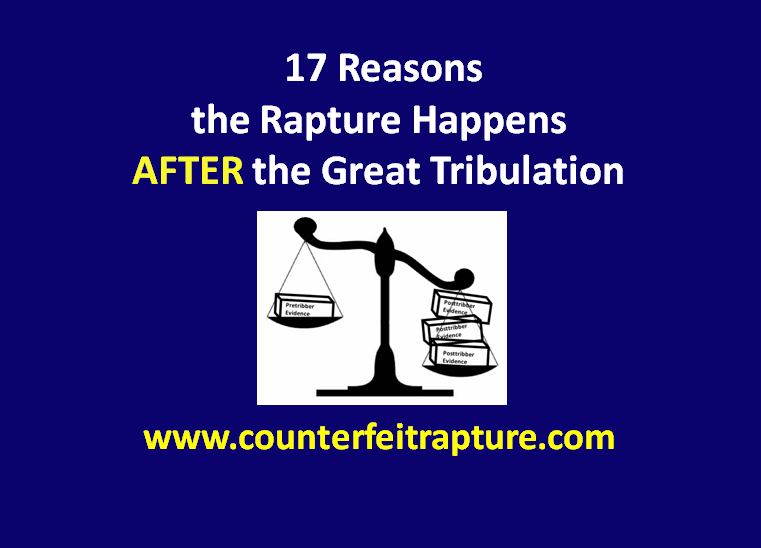 Watch Video on the Counterfeit Rapture - The Pre-tribulation Lie. Pre-Wrath Rapture: the Rapture occurs at the end of the tribulation, (Church removed from the earth before God's wrath is poured out). There are many in the Church who assert that holding to one view or another is of no consequence. On the contrary holding onto and promoting falsehood, even if such falsehood has no bearing on one's eternal security, could have grave consequences for believers and unbelievers alike. Fact: At least three of the four positions above are false. (Steal abundant life; Kill the physical body; Destroy souls by dragging them into the lake of fire with him). Fact: Satan uses falsehoods and deceptions in order to steal, kill and destroy. Fact: Satan's best tactic is to use God's Word in an erroneous manner to deceive people into following him to hell. Satan used God's Word out of context with a twisted interpretation in his attempt to tempt Jesus to sin. Jesus countered by citing God's Word in context and rightly interpreting it. "Then the devil taketh him up into the holy city, and setteth him on a pinnacle of the temple, And saith unto him, If thou be the Son of God, cast thyself down: for it is written, He shall give his angels charge concerning thee: and in their hands they shall bear thee up, lest at any time thou dash thy foot against a stone. Jesus said unto him, It is written again, Thou shalt not tempt the Lord thy God." It is without question that Jesus wants His disciples to know the truth about all things; that the Church be united as one in truth and love; that the Church worship the Father in truth and spirit. This is accomplished by the Church being led by the guidance of the Holy Spirit. We know that falsehoods cause harm to believers and unbelievers. We should be earnest in seeking the truth in order not to be harmed ourselves nor to inadvertently & ignorantly cause harm to others. As you read the basis of this position keep in mind that the end time tribulation is not the wrath of God and therefore the two should not be construed as being one in the same. Yet the Pretribulationists acknowledge that hundreds of thousands, millions, of Christians will live during the tribulation period and therefore be subjected to God's wrath contradicting their rational for removing the Church in the first place. Pretribulationists are asserting that Christians will be subjected to God's wrath. No Christian, at any time, either Pre-tribulation or Mid-tribulartion or Post-tribulation is ever subjected to God's wrath. Many Pretribulationists assert that the Marriage Super with the Lamb, Jesus, occurs during the 7 year tribulation which includes the 3 1/2 year Great Tribulation. Actually the Word of God reveals that the Marriage Supper, (Rev. 19:7-9) happens after the Great Tribulation, (Rev. 16:1-21). The Pre-tribulation rapture position is one that asserts that the Church will be raptured to Jesus prior to a seven year tribulation period which is initiated when the Antichrist comes to power and makes a seven year covenant with the, "many," usually identified as Israel. This site seeks to inform and edify brothers and sisters in Christ that there is no biblical foundation for the Pre-tribulation rapture doctrine and to warn the same of the persecution that is coming upon them unawares so that we can better prepare for such a time and withstand the deceptions and attacks of the enemy. Copyright © 2014 by Counterfeit Rapture. All rights reserved. Except as permitted under the U.S Copyright Act of 1976, no part of this publication may be reproduced, distributed, or transmitted in any form or by any means, or stored in a data base or retrieval system without prior written permission of the publisher.